In fact, the story goes I had not raised one dollar for the fund when I announced it, which was a sort of risky ha ha calculated you know decision to just try’na get the word out of people that this is what I’m doing. And again just like you know just, so much support from different different corners of the community and what ended up happening was what that turned into was, 99.5% of the a piece of my fund are here, in Kansas City. The start-up investment landscape is changing and world-class companies are being built outside of Silicon Valley. We find them, talk with them and discuss the upside of investing in them. Hello hello hello! And welcome to the Upside Podcast. The first podcast finding upside, outside of Silicon Valley. I’m Eric Hornung and I am accompanied by my co-host Mr. Insurance himself, Jay Clouse. How’s it going Jay? Doing well, calling in here from our Columbus start-up weekend at Green Insurance. I’m in a break-out room right now looking around what I think to be key messages, key things to keep in mind? Actually, the name of this break-out room is the, Not-a-bad-idea room so maybe that’s correlated to why we have things like key relationships and transformation and modernization and focused investments. And directly behind me, targeted growth. Wow! You know what else isn’t a bad idea? Changing topics and moving over to our intro. It should be noted listeners that anytime Eric makes a nickname on this Podcast, I don’t know what’s coming and I’m just expected to respond to it. So you’re getting it live. You did a great job there. Today on the podcast, we’re doing another one of our coffee chat series. I am very excited because this city for us has been a though not to crack. Elusive. Today, we are talking to one of the staples of the Kansas City start up ecosystem, John Fein. John is the founder managing partner of Firebrand ventures, a venture firm that invest in the greater mid-west. We reached out to John, we had interacted with him a few times on Twitter and he was just on our list of somebody who we thought seem like he shared a similar point of view to us or maybe we share a similar point of view to him maybe more appropriate. But his fund Firebrand invest in the mid-west and he’s based in Kansas City. We have not featured a guest on a podcast yet from Kansas City but that all be changing soon, thanks in large part to John, besides this interview itself. Isn’t it crazy how much value Twitter gives us and just people in general who want to connect. It though it gets like LinkedIn LinkedIn should be. So much opportunity, if you know how to use Twitter in all forms right? Like your feed can be worthless or your feed can be fantastic depending on how you curate it. Yeah, we we’ve made several relationships based solely on Twitter, would you know comes from having our Upside FM handle so plug for Add Upside FM but a bio that talks about what were doin’ and a little bit about our show and you know, you just engage to the people, people looking at their activity or looking at their mentions. Access is easier than you think, a lot of the time I think. Absolutely! And this interview is one example of that. So, follow along with us at Upside FM on Twitter, Jay as @JClouse and I am @EKHornung. Enough plugging, let’s get into the interview. What do you think Jay? Yeah. 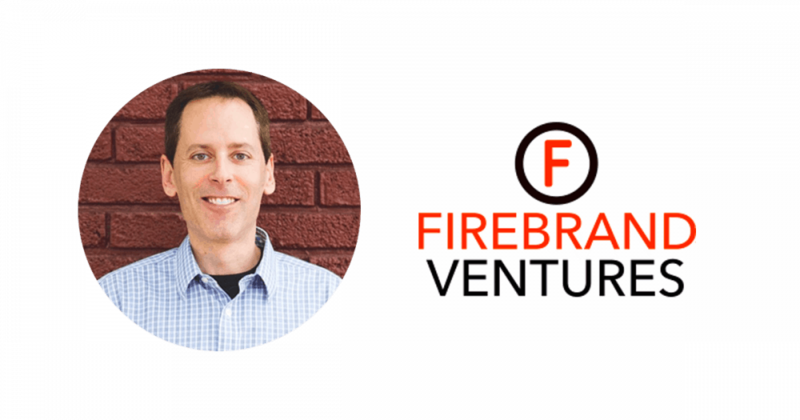 Let’s talk to John, please enjoy this interview with John Fein of Firebrand Ventures. John, welcome to the show. Thank you, thank you It’s great to be here. Sure sure. I’m not originally from Kansas City, I’m originally from Boston, Massachusetts actually grew up in a town called Brookline which is right next to Boston. I went to college outside Boston and then after after college I had majored in Psychology and learned soon thereafter that just was not the field for me. You know maybe I don’t have that mental fortitude for that field so I gravitated towards something I always knew I was comfortable with which was technology. My dad had worked with digital equipment corporation and we had a computer terminal not a PC, an actual mainframe terminal in the house and I was on that thing at the time I was 8 or 9 years old. I got into the technology and actually ended up moving to California about a year after I graduated college and it was an awesome experience. I was in San Diego for 15 years and that covered the the time of the dot.com boom and best. And so during that time, I was fortunate to experience that not only in Southern California but Northern as well. I was a part of project start up that time and two of them had quarters in Bay area. So you know, it was a crazy crazy time and it was a great thing to experience on both sides of the bubble.You know one of those start-ups I co-found it, so I have the whole founder experience of you know raising money and grinding out about developments and getting customers in all of my yards. None of those 5 stars were hugely successful by any stretch, a couple were moderately I would say. And then what happened was I I ended up our son was born in 2003 and shortly thereafter I said you know I should should probably just get a normal job for a while and take a break after having work for 5 startups back to back. And So I got a job with the company at that time that’s called Prescription Solutions and they were sort of a core friends of a male order pharmacy business, sending prescriptions to the male. They had outgrown their facility in San Diego and they hired me to speed up their new operations in Kansas City. And so I joined them in 2005 and that was brought me out here, I was travelling out here all the time, I loved it. I think we are ready for a change, I mean Southern California is amazing. I miss a lot of things about living there, but it had gotten you know a lot more crowded and expensive than it was when we first move there and I think we’re ready for a change and so I relocated my family here in 2006 and that’s what brought me here. And the interesting thing was I didn’t, I wasn’t engaged with a start up community at that time when I moved here and there wasn’t much of a start up community at that time I think. I was working for a big company, you know we had gotten acquired by United Health group right around the time we relocated in KC which is also kinda when the fun stopped. Because my first project for them in speeding up this operation in Kansas City was building an operation I was responsible for, from zero to fifteen hundred employees over four years. And from zero to about 2 billion dollars a year revenue over that same time span and so that was my life. You know I wasn’t, I wasn’t in a start up world, I was managing these large projects for United. But you know as it as it often goes after I acquired by large corporations, it got to be a lot less entrepreneurial and a lot more bureaucratic and some people are perfectly okay in that environment, I’m definitely not one of them. So I started engaging in a start up community you know few years after we were acquired by United, it’s probably like 2011, 2012. And I felt like I was again very lucky, that’s when the start up community here in KC really started to take off. Google Fiber had come in, so, you know the neighborhood where Google Fiber was first installed in the United States is in Kansas City in a place that became known as the Kansas City start up village. So even though you might think having a lot more bandwidth isn’t a huge catalyst, it’s actually a big spark in our community. So that’s a long way of telling you how I got to KC and how I started to engage. So let me just get the timelines right, in 2006 you came in Kansas City 5 years later in 2011 you left this company that you are working with. It’s 2011 you start getting involved in the Kansas City start up ecosystem in its early days. What is changed between 2011 and 2018 in Kansas City, cause what I see now is that Kansas City is really blossoming in doing a lot of incredible stuff. Absolutely, and I actually stayed with United Health group right up at that time till the time I joined Tech Stars as a managing director. So I actually stayed with them 3 2013 so that was really interesting experience working for United and I was attending start up events and meeting people in a start up community and it was kind of like two completely different worlds. You know so many things have changed for Kansas City since that time I think, it happens in staffs, like it doesn’t happen overnight. Bradford start up communities, it talks about its roughly you know like a 20 year lifecycle to develop a real, self-sustaining start up ecosystem. And you know I think I think Kansas City is 5 to 6 years into that. So I think that you know what happens is you start to have successes, you know entrepreneur led successes. So for Kansas City, its companies like iVerify that was acquired by Alibaba’s Slash and Financial you know for a 100 million. A couple of years ago, it’s C2FO who raised around of a hundred million dollars last year or earlier this year I think it was. So it’s been those types of steps on the entrepreneur side and the start up side. And then it’s been sort of a little validation points that you know every every start up ecosystem seems to have. So it’s everything from you know Uber coming into your town and Lyft. You know we have a wee work now, Tech Stars came in in 2013. We have you know a real smart city organization that was actually one of the 7 finalist that last to you guys in Columbus. So kudos to Columbus for getting that for sure. And so I, so I I think that it’s been a progression you know of this little milestones that you know each success of milestones sort of adds more excitement, incredibility and vibrancy to the community. I think most importantly, it creates a cohesiveness around the start up ecosystem where it becomes easier and easier for founders to find each other, to find capital, to find customers, and you know, so I think Kansas City is on its way like I said you know probably 5 or 6 years into that 20 year cycle, so definitely a ways to go as well. So when you say Tech Stars came in, you were the managing director that was of the sprint accelerator right? And thinking back now, we may have crossed paths because I was with the start up weekend America’s summit that went to Kansas City in 2013 or 2014 to the sprint accelerator. What number ran the accelerator was that four TechStars? I think it’s probably one of the firsts right? It was early on. I think it was somewhere between as far as active programs, somewhere between like ‘10 and ’12 at the time. You know they had their, they started with their city programs which we referred to as the programs which are not affiliated with a corporate partner. You know those in all big cities but most of them in the US. And then they started bringing another corporate partners in experimenting with that model. And now they really refined it and I think they have over, it’s almost 45 programs around the world. It’s crazy how much they’ve grown. So it was pretty early days, the Tech Stars. Cool part for me, selfishly was that, when I start engaging with them it’s actually a cool story because I’ve been engaged with the Kansas City start up community by you know roughly about a year, year and a half. I didn’t reach out to TechStars, they reach out to me through a contract I had met in the community here in Kansas City. So basically what happened is I got an email from David Cohen out of the blue. So I was like, why is David Cohen sending me an email I don’t understand this. It’s pretty awesome to you know me flying a boulder for a day and that team at the time ìs still being relatively small enough, basically I met everybody, all of the key people in boulder there in a day. Had lunch with David Cohen and at the time before I went, I had not envisioned like running an accelerator program. That just didn’t seems to be the next step in my career path, I thought I was just you know starting a new start up. But after I met the Tech Stars team I was completely sold. I went from my you know on the fence to I gotta get this job. You now these are amazing people. You know even after having transitioned from Tech Stars to Firebrand I still feel the same way about them. So it’s great to join TechStars at that stage where it was still relatively small definitely feel like a start up themselves and just incredible people there. You mentioned Firebrand, can you talk to us about that transition from Tech Stars to Firebrand and why the creation of Firebrand. What was the reason behind that? Yeah, the creation of Firebrand is really a direct result to the experience I had at Tech Stars which was I’m sure you guys probably know, Tech Stars takes application from start-ups from all over the world. And so every year even here in Kansas City you know we had a really diverse, broad application pool. And, what I saw was once we you know selected those companies. For the first 2 years by the way, we didn’t have companies from Kansas City and we didn’t have a lot of companies that comes from the mid-west, it just didn’t work out that way. But what they all had in common was, they’re all billion businesses and they all raised 0 dollars from Kansas City and in most cases 0 dollars in mid-west. And so I took a step back after 2 years of doing that and seeing that and said, wait a minute okay what’s going on? Is this something they’re doing wrong, is this something I’m doing I’m doing wrong, is this something that’s just fundamentally lacking in the investment community? And most of the answers I came up with is the last one. And so I just felt like that it shouldn’t be that difficult to raise in early round in the mid-west. But I just felt like this region was missing deals and worse, a lot of cases the stars were leaving and they were going to the coast. And so that was the real to start Firebrand after that third year. What type of feedback did you get from the community when you started that? Sheer support ha ha. You know I can go on and on about the people in Kansas City and I’m rocking the love key seizure. You know just nothing but support, it was amazing. In fact, the story goes I had not raised one dollar for the fund when I announced it, which was a sort of risky ha ha calculated you know decision to just try’na get the word out of people that this is what I’m doing. And again just like you know just, so much support from different different corners of the community and what ended up happening was what that turned into was, 99.5% of the a piece of my fund are here, in Kansas City. So, I couldn’t have asked for anything more. There was one, one of the first contacts I had in the high network community was a gentleman who was was very well connected and a great connector. He doesn’t need to do any of these things, he just loves to grow a community. And I went to him and I said, “You know I’m thinking about raising like a million dollars in Kansas City and then going outside the rest”. And he said, “no no no no” he’s like, forget that, you’re gonna raise the whole thing here, I can make some connections for you, get the ball rolling , this is what you’re gonna do. Ha ha, and I said okay you know if you’re willing to do that let’s do it. And so that’s that’s what ended up happening. And how much did you end up raising? The goal is to raise 7 million, the fund. Having it just small first time seat fund. And we never expect raising little under 18. So and again, I it was fast fast a in Kansas City investors. So it went well, it wasn’t easy, you know it shouldn’t be easy I think, but it turned out really well. We both read your recent blogpost talking about your lessons in raising this fund and it was such a great read. So thank you for being transparent in sharing that. What types of companies do you think could succeed in Kansas City and and if you want to the mid-west generally go ahead and do that but where do you think Kansas City or the mid-west really provides ground. Yeah you know, the great thing about the mid-west is that each each community has part of its own its own value to add for companies. And it’s not necessarily limiting as far as you know Detroit obviously mobility. But you don’t have to be mobility start up to succeed in Detroit. Cincinnati would you know consumers last CPG, same thing, Indianapolis with MarTech. But they have grown enough so that if you were in that sector that’s awesome and you’re getting a lot of resource but even if you’re not that’s okay too. For Kansas City you know it used to be it used to be Ag / animal health, cause organization in Kansas City that a lot of people outside KC or the ___ don’t know about is called the Animal Health Corridor. And so Kansas City is like the animal health capital, possibly not all over the world but definitely in the US. So the majority of sales of pet food, diagnostics and animal pharma originates from companies that are based in Kansas City and most people don’t know that. It’s a it’s a like a group of over a hundred animal health companies that are here. Obviously if you’re in that sector this is a great place to be but you know we have an awesome community that is been outstanding. I mentioned a company called C2FO that raised a hundred million in last round. We also have a company called Bloom which is sort of a high tech rowing kay platform that geared a lot towards millennials. They’re doing extremely well, in fact there’s a fin tech accelerator that just popped up. My friends at NBKC bank just launched an accelerator specifically for fin tech so, its really quite diverse in KC. You know we’ve invested in 4 KC companies, they’re all different. Logistics is obviously another big in Kansas City obviously as a pedigree based on transportation. You know awesome central location for that and a lot of great transportation companies to partner with. It’s great, the diversity of of the sectors really makes it special I think. Are you guys still have seed fund even though you raised almost a little more than double like you were projecting? Yeah definitely seed. Our sweet spot is investing in rounds when the start up is raising. Some of us is reaching 500k in 2 million is typically when we invest. I really look out to, cause you see other funds out there where they start of as a seed fund and then they raise a bigger and bigger funds everyday very relatively quickly. And the succession of funds that they raise and I really look up to you know other funds like Home Brew as an example. You know they raised slightly larger funds each time but they really stayed true to the seed phase because that’s really what it is. These days in tight hundred walk great blogpost about how it’s face not around anymore. So I think there’s still tons of opportunities in sea and that’s just where I’m personally most comfortable. You know I kinda learned it in Tech Stars more than anywhere else, investing at that early stage. And so it where I had the most fun and it’s hopefully where I had a little bit of value as well. How do you go about adding value? What are, I know that some people have like pillars of how they add value. As a VC, what are your pillars or however you think about it? Yeah you know, I I treated very similarly to how I worked with start ups when I was at Tech Stars. You know sometimes it’s sort of part investor part mentor and a hundred percent partner. Our whole approach at Firebrand is, so it’s just like a partner in your journey. And we used the word journey on purpose because you know we’ve been founders. And I have a an amazing advisor that includes people like David Cohen, Wendy Lee, Bryan MaClendon who created Google Earth in Google Maps. Just some amazing people that have all been founders. And so there’s a lot of empathy there and knowledge that this is not gonna be a straight upward line, this is gonna be a crazy ride. There’s gonna be twist and turns and mistakes and ups and downs and we want the founders to know that we’re there. We’ve been there, we’re there for them and we’re gonna help not just when the times are good but hopefully more than anything when the times are bad. And that they can trust us, they can fight in us, we’re not gonna judge them or lower over them or anything like that. You know we’re gonna lower our sleeves and solve it for them. Mac Maples used a great term called cope in spirit or he used himself as a cope in spirit in there when we start as founders and I really relate to that. That’s that’s the approach I really love to take in a value we had. Each start up is different, need different things and yes I tend to spend a little bit more time with our earlier stage as founders and later stage. So it can be anything from strategy advise, making connections for anything they need from customers to new hires. So just being there for that midnight hall or text message when everything’s seem to __. You know they just need an ear right, they need a sounding word. So that’s who we wanna be for them. So would Kansas City being in your estimated year 5 or 6 of this 20 year journey, how many project forward and think about what needs to continue to grow in Kansas City for the next decade plus? Yeah you know I’d say recently there’s some awesome progress in just the quantity and quality of start-ups that are in these community. It used to be that everybody know everybody and that’s not the case anymore. I was just having a conversation yesterday with them. I don’t know if you guys have read Startly news, it’s like the main start up publication in KC. And there themselves are great connector, and they will event sometime in time and we were just talking yesterday about how even this recently project 3 years ago a few start up event in KC, it was the same people that went event from events. Right? And so the events were fun but they were just more like parties and you knew exactly who was gonna be there. I attended an event the other day and I literally probably knew you know a handful of 60 or 70 people that were there. So, it has grown immensely from quantity and quality standpoint and the source of funding has grown as well. So in last few years, there’s been probably four five funds that have popped up that have been launched and raised money and make actively makes investments all sort of different approaches, sort of fantastic. It still has a ways to go in other areas, so you know again that book start up communities that I’ve wrote is so great because I always sort of come back to it in my head when I’m thinking about what Kansas City still needs to sort of cross that next milestone. Like I said you know every mid-west or every start up community is different, needs different things and has strengths and weaknesses. And I’d say in Kansas City, corporate engagement is still an area where we need to improve. It’s gotten a lot better over the years especially sort of the mid-sized corporations that really engage for the community. I’m still looking for a lot more engagements from the largest companies in Kansas City that I think would have a lot to offer. And then also you know just there’s always room for improvement in engagement with the universities. There’s some fantastic universities, some right in Kansas City, some you know a 40 minute drive from Kansas City like KU that have huge pools of talent. I think we all need to you know just do whatever we can to have a two-way engagement with them to really create a nice talent feeder into the ecosystem. It’s happening a little bit at, I love to see it happening more. You know how it goes right? You know just, its awareness and it’s making you know faculty and students aware of their opportunities in the start up community. And you know these days Kansas City is like everywhere else like everybody’s hiring, every start up is hiring. A lot of stuff in raising money and growing and so a lot of that is just making sure that we have a talent feeder system out locally. One last question for me John, when a start ups at early stage comes to you and their asking you just for advise saying we’re about to raise a seed round. What type of advice do you give those founders in Kansas City? Yeah you know I think, the thing that’s overlooked here like anywhere else sometimes is the building of relationships. And so the first thing I tell them is, don’t wait until you absolutely need to start raising. Start engaging with people now. Get warm introductions to people, grab coffee with them, you know get to know them as well as you know let me them get to know you and your vision, your company. That thing is super super important. More important than anything else, everything goes back to relationships and so I think specifically even for Midwest communities its even more important. I think things happen with a lot more philosophy sometimes on the coast. Here, it seems to be a longer process of building trust. And so again that’s just more important to build those relationships. Great! Well thank you so much for being here on the show John. Wanna be respectful of your time here. If people wanna learn more about you or Firebrand, were would you direct them? Yeah! Check out our website, reach out to me at Twitter. I’m probably more active on Twitter than anything else. Accessibility is a big part of our approach and so you know I welcome anybody who wants to reach out to me. You know our mission in life is to connect with and invest in exceptional founders and so always looking for those and always happy to help whenever I can. Great! Thank you so much being on the show. Alright there we just talked with John Fein at Firebrand Ventures. Hot take, what do you think of that conversation? Im gonna give you a lukewarm take. I.. You know I’m just kidding ha ha. One thing that I took away that I think was eluded to you or talked about but not really, we didn’t really dive into it was this idea that when John went to raise Firebrand there was this guy, this mystery man who said, absolutely not you’re not raising only million here, you’re raising the entire thing here. Like that kind of advocacy, we need to find people like that Jay. Those, that is like I just thought that it was so amazing and we didn’t really dive deeper into how this guy was connected. Why he was so such an advocate for Kansas City , I mean the Kansas City start up scene. But I love that. I love that. Yeah it’s true. You and I find all the time that so much of life is just the people right? And getting connected to the right people, and not just right people in terms of how can this person help me, but the right people in terms of who are the people who are align with my way of thinking and can really align with me and enrol with me on this journey that I’m going on whatever it is. Summarily, a lot of takeaways that I had in this interview are actually similar to takeaways that I had from the blogpost that John wrote that we have talked about and mentioned. The lessons of running a micro VC. He said his goal for raising the round for Firebrand is initial goal for investment for 7 million dollars. And that number stuck out to me because Eric, you and I had talked about what a minimally viable micro VC fund would be and the figure we had account to is 7 million dollars. Yeah, it’s funny. I think that there’s like some kind of truce out there and people kind of generally center around them. It’s like, okay you wanna raise micro VC what’s the minimum? It’s 7 million. It’s like I’ve seen it time and time again and I thought the exact same thing when I first saw that. Well that was on our first slot. Our fist slot for a while is like, how it would look like to be 500k, then I was like okay what about if it was a million, what if it’s 3 million? You know you have spearhead out there who offers up to million dollars for their co- venture investors that they are trying to train. We looked at 3 to 5 but the problem with that seem to be, you wouldn’t have much capital to deploy in terms of follow on investment. Seem like the math for the people who we are talking to would involve in small VC or micro VC that kind of point to 7 million dollars number you have. Some unreserved that you can follow on with some of the some of the bets that you took that were winning and doing well. Also though on that note, 7 million dollars was his initial goal but he ended up raising a little under 18 million. And anyone can say fundraising is never really done. Still fundraising and I thought that was an interesting thing too because it kinda been on my mind that, you raise a fund you deploy the fund. Eventually sure you’re gonna go back in fund raise but I don’t think of it in terms of sort of a perpetual fund raise. Yeah and he, I mean he mentioned that in terms of him but also in term of founders, you are continuously getting your story out there because when it does come time that you need to you know put a peddle to the middle , you wanna have those relationships in place. So it’s like okay I wanna raise fund too, well I’ve been talking to people for two years about the potential for fund too already. Same with the founder, if I want to you know fundraising isn’t a set point in time, it is continuous relationship building exercise. It’s also and this is a nod to a new drive capital podcast differential. They were talking with the founder of Root Insurance which is here in Columbus, Ohio is here in Columbus, Ohio. And Alex the CEO of Root was talking about their Series Bee, when he begin raising the Series Bee it was not because they needed capital, it’s because investors were coming to them saying I want to invest in your company. And I would imagine that’s true for micro VC or larger VC who have has some success in the past. Eventually, if you’re doind really well the market flips and people are trying to give you money and that seem to be a little case here in John’s. John’s case were people keep showing interest in the number rose from 7 million to 18 million which is exciting for him. Yeah it is. And I think that kind of place into the idea that they are into that from Hunter Walk of ____ of how’s that round anymore its basis. I wish you would have asked a couple more questions about that and his interpretation of it. I’ve seen Hunter Walk into that before. Something else snuck up to me about what John was sharing in this interview. He made similar points to something we had talked about here on the podcast which is, Geography. You don’t need to be the valley to start these companies, and not only is it more cost-friendly to be able to be outside of the valley but a lot of this ecosystem are very specific value to add. You mentioned Detroit of Mobility, Kansas City with agriculture of animal health, Cincinnati with Consumer Package Goods. So for a lot of companies, it makes sense to be outside of the valley for very strategic reasons not even from just economic reasons. And you know that’s just a common ___ we are hearing and eventhough that maybe getting it right as much as we talk about it, you know we gotta keep beating that dead horse and pointing to it because it’s say it’s an important aspect of starting out a company outside of the valley. Did you just really did use that beating that dead horse after we just learned that Kansas City is the animal health center of America in the world? Would that beating that dead horse, that’s not the right side to go down. Beat the dead horse until the start up in Kansas City can help revive said horse. No, I didn’t. And actually if you would have said which city in the mod-west is the animal health corridor in the United States, I would have guessed Iowa City. Yeah that’s why you know you have a statistically relevant sample size Jay. One thing that I wanted to mention is just the stickyness of Kansas City. I think that you and I had talked about the city before and actually over a year ago we both stayed in Kansas City on our way up to the shareholder’s meeting. But I thought that it was awesome that John made a move to Kansas City and felt the gravitational pull there. It’s kinda speaks to the stickyness that once you make a decision to come somewhere and maybe it’s not having a family, maybe it’s some outside things as well. But you found an opportunity in Kansas City was able to apply the skills and also caught the way up which started in 2011 or so. One of the things that I would how I would differentiate my experience living in New York and living in Ohio is that everyone who lives in New York has a game plan for when they’re gonna get out of New York. And I think it’s a little opposite in Ohio. It’s the place where you would really wanna come back to. Even if you aren’t from there, you know if you are one of your friends who came in Columbus it’s like yeah I don’t have any timeframe for living here whereas in New York it’s like there are people who were like yeah, I’m doing 8 years here and then I am leaving to go xyz. Wow. I was just in New York City with my mom as you know. And I couldn’t get over the fact that everyone I saw on the train looks so much more unhappy than I’m used to seeing. Like and it wasn’t like angry or mad, it’s just seem like they were beaten down. And that a hot take. The city can do that to you? I would let this go before too long before I make this comment. When we stayed in Kansas City on our way Berkshire, I distinctly remember thinking of Kansas City as the nicest Midwest nice that I ever experienced. Really? Have you been to Minneapolis? Actually a good point. Yes, but I was at in Minneapolis to see a Green Bay packers of Minnesota vikings. I was a Green Bay fan so probably a ___ to my experience. But the two things in Kansas City when we were there, we are there like 12 hours less than 24 hours. One, I was taking out the trash of the woman who was hosting us and somebody on a morning jog literally stopped here morning jog took out her headphones and asked me how my morning was going as I was taking out this trash, that was number 1. Number two, we are looking for a record store and these guys were just out in their smoke breaks seem like it would move a mountain to help find us find an open record store. It was crazy, anyway. So if you’re from New York and you’re sick of the middle fingers and honking move to Kansas City! Here you go, that’s a pitch. Alright Jay, we are gonna wrap it up here. It was an awesome conversation. You wanna run people through how to connect with us? Yeah, yeah totally. So if you guys enjoy this conversation we’d love to hear what your takeaways. We didn’t touch on this but we’d love to hear your take on John announcing his venture fun before he had raised a single dollar. That’s like a crazy thing that we could dive into for a while. Love that! Anyway if you guys have any thoughts, tweet at us at UpsideFM, you can also comment on this episode on Breaker. Breakers are preferred podcasting app otherwise, if you guys have any thoughts, if you knew somebody who could guest for a show or if you could be a good guest for a show feel free to email us as well at hello@upside.fm. Alright we’ll talk to you next week. That’s all for this week, thanks for listening. We’d love to hear your thoughts on today’s guest so shoot us an email at hello@upside.fm or find us on twitter @UpsideFM. We’ll be back here next week at the same time talking to another founder in our quest to find upside of Silicon Valley. If you or someone you know would make a good guest for our show, please email us or find us on twitter and let us know. And if you love our show, please leave us a review on itunes. That goes a long way in helping us spread the word and continue to help bring high quality guests to the show. 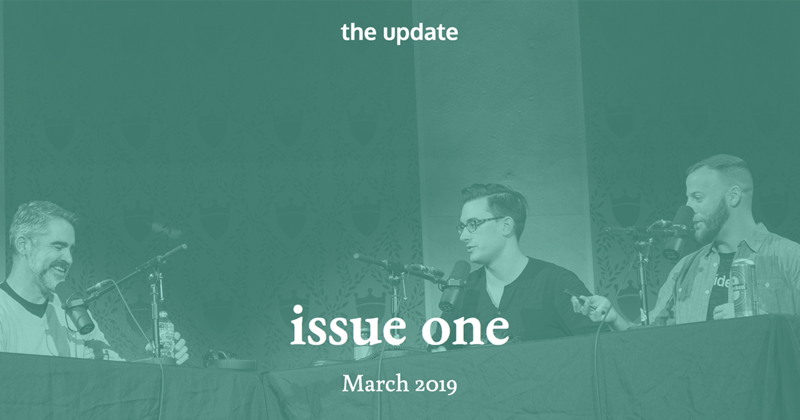 Eric and I decided there were a couple of things we wanted to share with you at the end of the podcast. And so here we go. Eric Hornung and Jay Clouse are the founding parties of the upside podcast. At the time of this recording, we do not own equity or other financial interest in the companies which appear on this show. All opinions expressed by podcasts. Participants are solely their own opinions and do not reflect the opinions of Duff and Phelps Llc and its affiliates on your collective llc and its affiliates or any entity which employ us. This podcast is for informational purposes only and should not be relied upon as a basis for investment decisions. We have not considered your specific financial situation nor provided any investment advice on the show. Thanks for listening and we’ll talk to you next week. John Fein is the founder and Managing Partner at Firebrand Ventures, a venture fund that invests in the greater Midwest. Prior to founding Firebrand John served as Managing Director for Techstars where he ran three accelerator programs in Kansas City.